To me, organ donation means loss, life, and legacy. To others though, organ donation can sometimes be a controversial subject as it means discussing death and no one likes to talk about death, let alone their own. 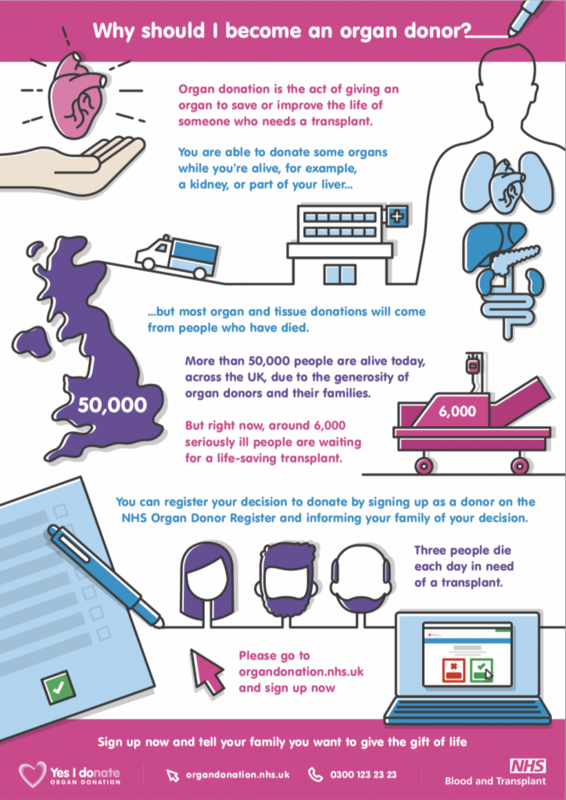 However today Royal Assent was given to change the organ donation law from an opt-in to an opt-out system in England so this conversation needs to be had. So why has the law around organ donation changed and what does opt-out mean? 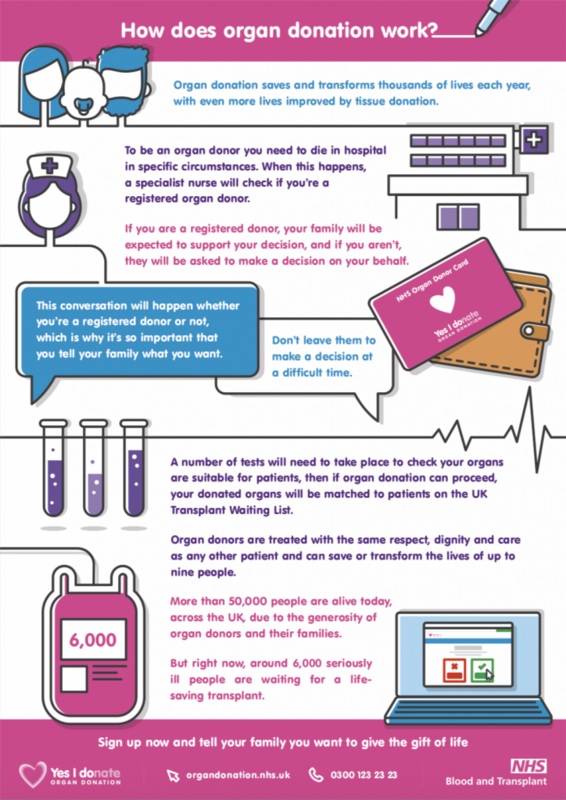 To answer the first question – There are currently around 6,000 people waiting for an organ transplant in the UK (1)because their heart, lungs, kidney, liver, pancreas or bowel is not functioning properly. This results in a poor quality of life and a daily risk of death. Their only chance of survival is to receive a new organ and in most cases (2)a new organ comes from someone who has died. With more than half a million people dying in the UK every year it would be understandable to think that there must be a plethora of organs available. However only around 6,000 people die in circumstances where organ donation is possible (i.e. 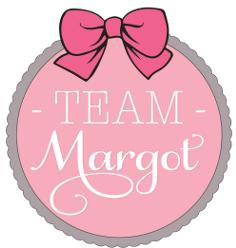 in hospital in intensive care) and of these only around 1,500 actually go onto donate. And that’s why we have a surplus of people in need of organs, many living each day not knowing if they will last until the next. It doesn’t have to be this way and this is the reason the law is changing. So what does opt-out mean and how will it affect us all? 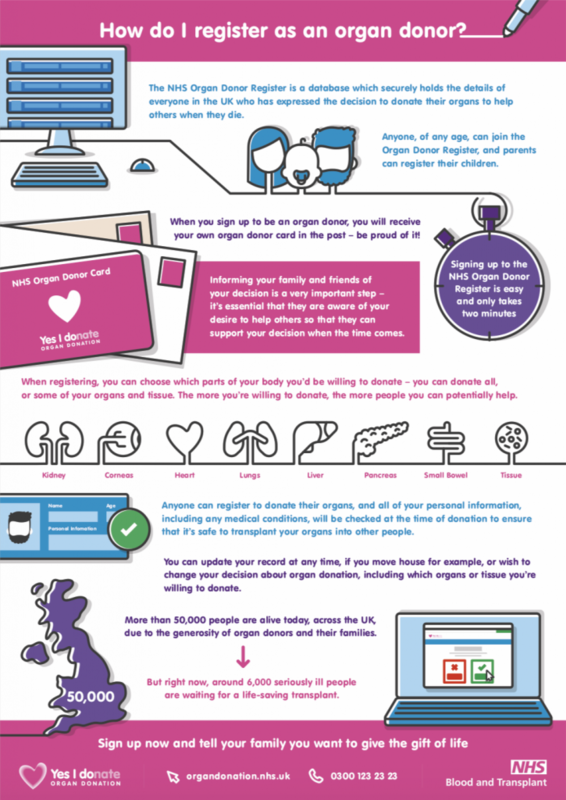 Currently England has an opt-in system, which means that if you want to donate your organs at the time of your death, you need to put your name on the NHS Organ Donor Register. What many people don’t seem to realise is that if you don’t want to donate your organs, you can also refuse to do so by logging your decision on the same register. However at the moment, if at the time of your death, you haven’t registered your decision on the NHS Organ Donation Register, it then falls to your family to make a decision on your behalf. Unfortunately in many cases, the family doesn’t know what their loved one would have wanted because they haven’t ever discussed organ donation. So to err on the side of caution, around half of families who find themselves in this situation refuse to donate the organs. This is disappointing as in the UK more than 80% of adults support organ donation but only 38% have signed the NHS Organ Donor Register. This therefore highlights more than ever that if you are in favour of organ donation, you must talk to your family and let them know this. And so in the spring of 2020, England will move to an opt-out system, just as Wales did back in 2015. This means that if you have not registered your decision to either donate or not to donate your organs and are not in an excluded group (3), then it will be presumed that you have consented to organ donation and your family will be advised of this. The hope is that this change in the law will mean that there will be more organs available to give those in need a fighting chance of survival or at least a better quality of life. To me, this change in the law makes sense. If we really don’t have an objection to organ donation and it’s just our inaction that is failing the 3 people in need of an organ who die every day, then this is a step in the right direction. On social media and in the press, the greatest objection to this opt-out system seems to be that the state is controlling our bodies and taking away our rights. 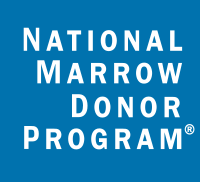 In reality we will still be able to choose whether or not we want to be a donor. We are just being asked to make a decision especially if there is a personal wish not to be an organ donor. We just need to take 5 minutes and share what we would like to do. It’s simply filling out the form that reflects your choice on the website https://www.organdonation.nhs.uk. That’s it. However it is also important to tell your family of your decision so that they can honour it at the time of your death. So how should you communicate your decision to your loved ones? 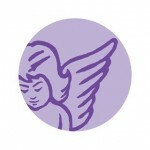 Death is a difficult subject to talk about because of the finality of it and the emotions that it brings up. However we need to think of death in a different way. Whether we like it or not, death is a part of life and we will all die some day. We also need to think of what we would want if we or a loved one were in need of an organ. Would we want to receive help from a donor? If the answer to this question is yes then I believe we should also be prepared to give and therefore we need to register our decision and share it. Now. Organ donation allows the deceased to have a legacy. Of course we will continue to have memories of our loved ones, however if their organs are ‘recycled’ to help save another, they leave a legacy and one that allows the recipient to continue to live a better quality of life and to go on to have a future. The donor doesn’t just help the recipient but also their family and friends. Many donor families state that knowing their loved one’s organs have helped others has given them comfort and in some circumstances they feel that the death was not in vain. Hopefully this change in the law from opt-in to opt-out and the subsequent press and promotion of this change will give you the opportunity to start a conversation with your family, spouse, friends or next of kin. An opportunity to find out what everyone’s wishes are should you be in the difficult position of honouring them and the opportunity to let others know what you would want to happen at the time of your death. There is no time like the present. Please take 5 minutes now and log your decision on the NHS Organ Donation Register, whether it is for or against donating your organs. Then share your decision to help others honour your wishes when you are unable to do so. Source for all statistics from the NHS Blood and Transplant unless stated. Subject to criteria, people can donate a kidney or part of their liver to help someone else while they are alive. This is known as a living donation. People who lack the mental capacity to understand the new arrangements and take the necessary action. To be an organ donor you need to die in hospital in specific circumstances. If a death is not in this way, a person could potentially still donate other tissues such as heart valves, skin, bone and corneas. A person can donate a kidney and part of the liver while they are still alive to a relative, friend or someone they do not know. This is known as Living Donation. Anyone can join the NHS Organ Donor Register. There is no age limit. Which organs can be donated and why are they needed? Hearttransplant is needed to replace a damaged or failing heart from conditions such as coronary heart disease, cardiomyopathy, or congenital heart disease. Kidney transplant is needed due to chronic kidney disease or kidney failure. Livertransplant is needed if a person has liver failure. Lungtransplant is needed if someone has advanced lung disease, chronic obstructive pulmonary disease (COPD), cystic fibrosis, idiopathic pulmonary fibrosis, pulmonary hypertension. Bone is important for people receiving artificial joint replacements, or replacing bone that has been removed due to illness or injury, for example in hand and face transplants. Corneais the clear tissue at the front of your eye that lets in light so you can see. This small and simple part of the eye is hugely important for thousands of cornea transplants a year, often saving the sight of patients for many years. Heart valves can be transplanted to save the lives of children born with heart defects, and adults with damaged heart valves. Pancreasoperations are done to treat diabetes by replacing the need for insulin with a healthy insulin-producing pancreas. Skin can be used as a natural dressing for people with serious burns. It can even save lives by stopping infections. Small bowel(intestinal) transplant is undertaken to replace a diseased or shortened small bowel. Tendons, the elastic-like cords that attach bones and muscles to each other, can be donated to help rebuild damaged joints.